Peel oranges and lemons, reserving rinds for later. 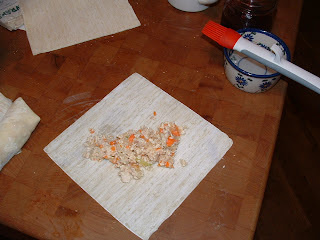 Using a cutting board with a reservoir to catch the juices, cut sections into small chopped pieces. You should have 6 cups of chopped fruit. Pour off juice to measure. Off set with FRESH squeezed to equal 1 1/2 cups. 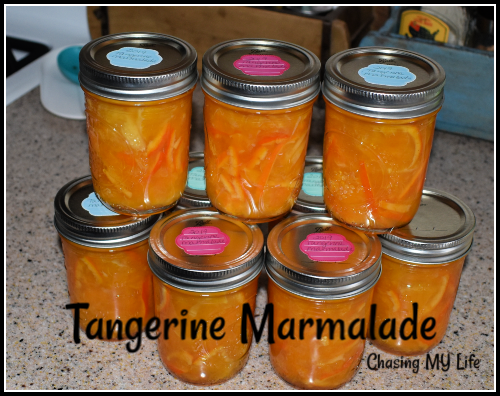 Slice rinds from both the lemons and oranges into VERY thin strips until you have 2 cups worth. Add fruit, juice, rinds, sugar and honey to large stock pot. Bring to a FULL ROLLING boil. Add pectin continuing to boil for 2 minutes. Stir in butter and skim any remaining froth. Immediately ladle into hot sterilized jars. Cool jars inverted on a towel until cool. Peel tangerines, reserving rinds for later. Remove loose pith. Pour off juice to measure. Off set with FRESH squeezed juice to equal 1 1/2 cups. 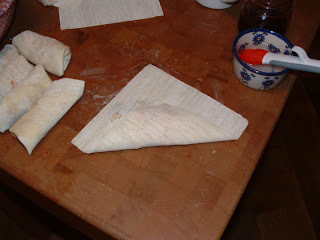 Slice rinds into VERY thin strips until you have 2 cups worth. NOTE: 1 bag of Cuties has about 30 tangerines in it. Heat large dutch oven with berries, chopped oranges, orange juice and sugar, stirring until sugar is completely absorbed. Simmer 10 minutes until sugar is completely dissolved. Add orange zest and bring to a ROLLING boil. Add pectin and boil 5 minutes more. Add butter and stir down boil and froth. Ladle into hot sterilized jars, leaving 1/4 inch headspace. Clean tops and add seal. Screw rings down over seals as tight as you can. Water bath in boiling water 15 minutes. 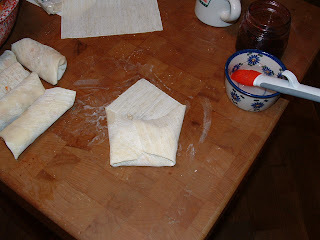 Invert jars onto a towel and allow to cool. 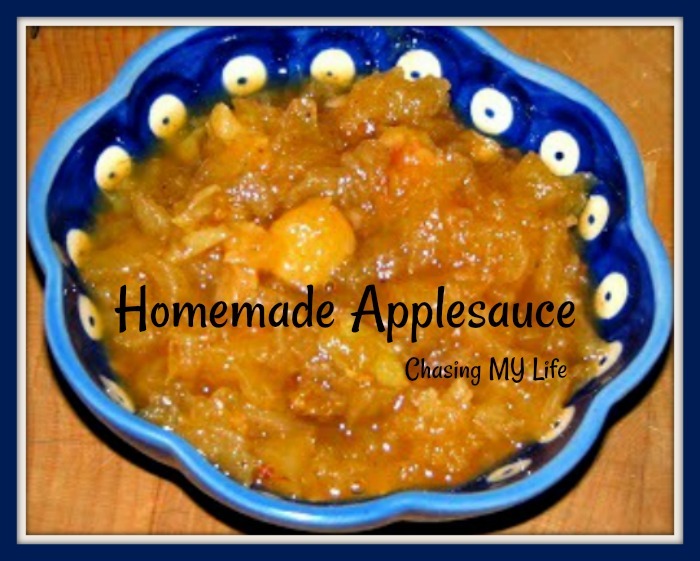 In the fall it ALL begins with apples which ultimately leads to applesauce! Once you have the applesauce THEN you can begin the butters. Combine everything except the raisins in a large dutch oven until well blended. Simmer uncovered for 2 hours, stirring periodically until thickened. Add raisins at the 1 1/2 hour mark. Water bath for 15 minutes. Cool jars and make sure seals are secure. 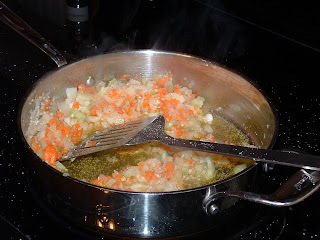 Reduce heat to low and simmer uncovered , stirring periodically until thickened ans spreadable (about 20 minutes). I have been thinking about our trip to Disneyland that is on the horizon. We even made lunch reservations for the Blue Bayou restaurant where I already know I will be ordering their Monte Cristo sandwich. I first ate this sandwich at this restaurant as a child and I have often wondered what the origin of the Monte Cristo sandwich actually is? So, I finally did a little research on it. In the early 1900’s many chefs and culinary experts believed that the Monte Cristo Sandwich was a variation of the French Croque Monsieur that was served in Parisian cafes, a grilled cheese sandwich consisting of Gruyere cheese and lean ham layered between two slices of crust-less bread, fried in clarified butter and made in a special grilling iron with two metal plates. Then from the 1930s to the 1960s… American cookbooks showcased this sandwich under a myriad of different names including the French Sandwich, Toasted Ham Sandwich and French Toasted Cheese Sandwich, all sounding quite delicious, but lacking that truly unique sandwich identity. Then in the 1950s the sandwich was first served under the name “The Monte Cristo” in southern California. But the BIG push came in 1966 when Disneyland made its own contributions to the popular Monte Cristo Sandwich when it first appeared on their menus at the Blue Bayou and Tahitian Terrace restaurants in New Orleans’s Square in Disneyland. It was also around this time that the Pirates of the Caribbean ride was being built was opened in 1967 as a ride that slinks along the river next to the Blue Bayou restaurant. Ironically these are my 2 favorite Disney restaurants ever. Unfortunately the Tahitian Terrace with its LUAU inspired Polynesian menu and the Royal Tahitian Dance Troupe floor show did not stand the test of time, but the Blue Bayou still stands today. Ever since then, the Monte Cristo Sandwich has made huge advances in the culinary world becoming one of the most delicious sandwiches of our time and finding its place on menus all over the world. I believe the Tahitian Terrace was sponsored by Kikkoman. For me, it needs to be served with homemade RASPBERRY jam to be the correct version. Many restaurants try to pass off strawberry freezer jam and omit the powdered sugar, but it just isn’t the same! 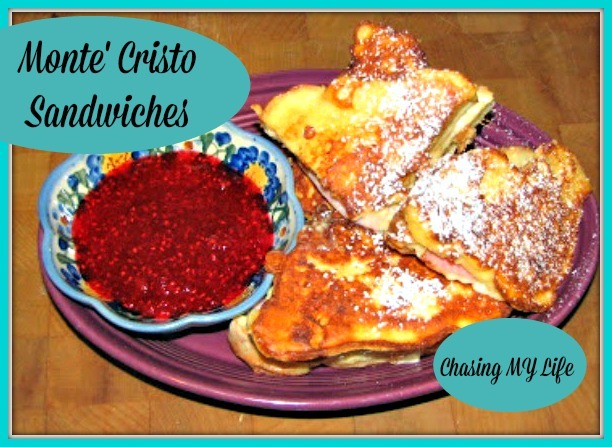 Here is my version of the classic sandwich – it still makes my mouth water today at the thought of the perfect Monte Cristo sandwich! 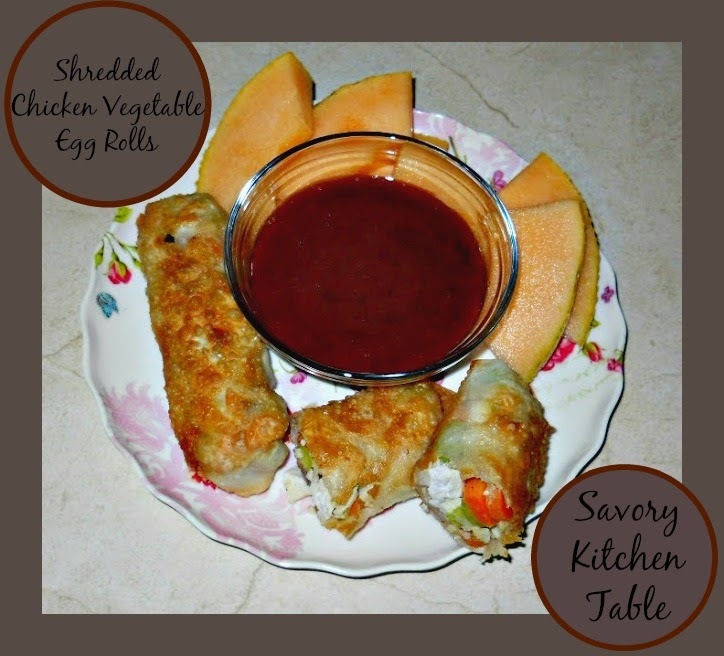 I’m still working on blog compilation and I ran across this recipe and can’t wait to make some later this week. I can actually eat this YAY! I LOVE!!!!! trying new recipes, but more importantly I LOVE!!!!! trying a new recipe that blows my socks off! 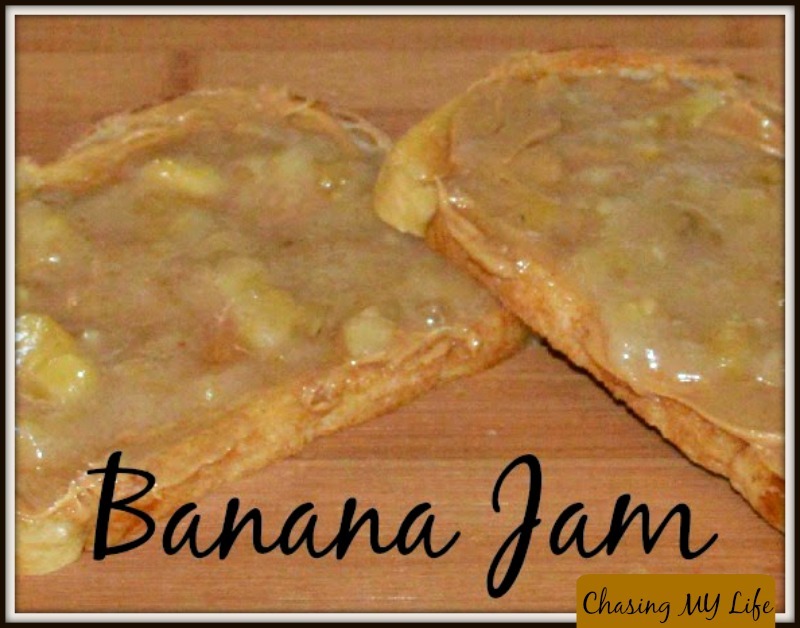 My friend Sandra over at Diary of a Stay at Home mom featured a Banana Jam the other day. I know, sounds weird right? WRONG!!!! It’s the most fantastic, addictive recipe I’ve tried in a long time and even better it’s SOOOOOOOO simple. Combine ingredients together and bring to a boil, stirring constantly until your boil. Turn down heat and simmer until nice and thick, stirring frequently. Pour into sterilized jars and water bath for 10 minutes. 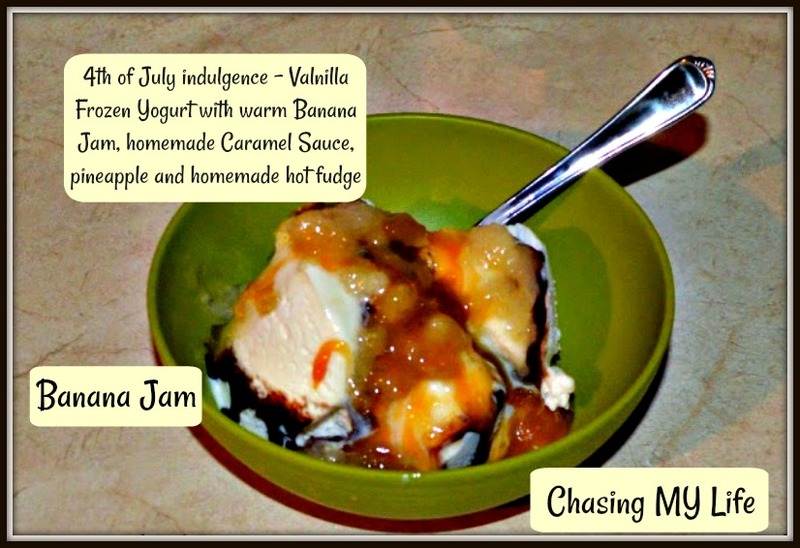 I’ve already added pineapple for a varied flavor and caramel for an ice cream topping. Next is turning it into a Banana Cream Pie. And OMG you have to try it on sourdough toast with JIF peanut butter. 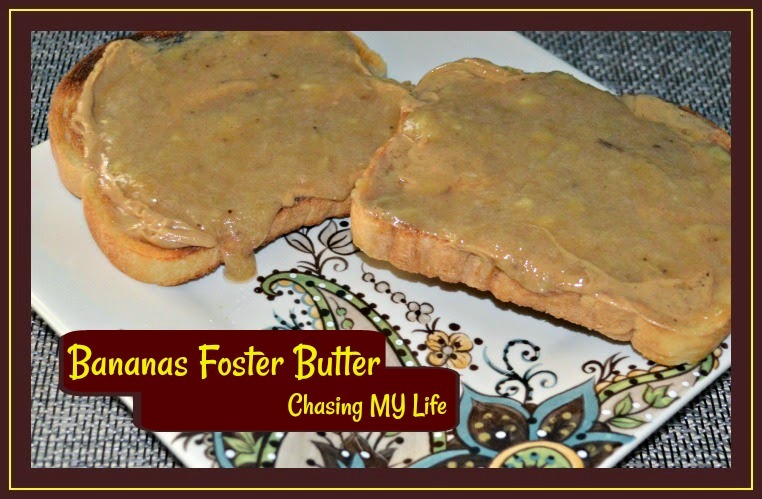 Then a few weeks later I was searching through my box of tricks, er recipes for tailgating recipes I wanted to try and found a recipe for BANANA FOSTERS BUTTER. It just screamed out for me to try it. It was fantastic too and great on Peanut Butter Toast. Mash bananas until smooth. Transfer bananas to a pot. Stir in sugars, lemon juice, rum, cinnamon and nutmeg. 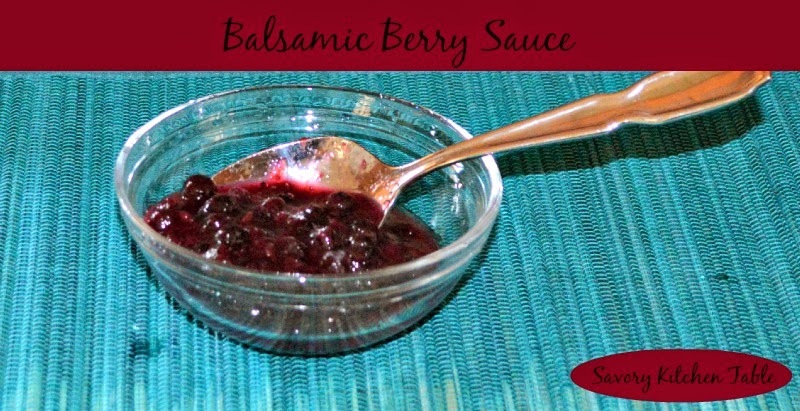 Reduce heat and simmer about 20 minutes or until thickened, stirring frequently. Ladle into hot sterilized jars leaving a 1/4 inch headspace. 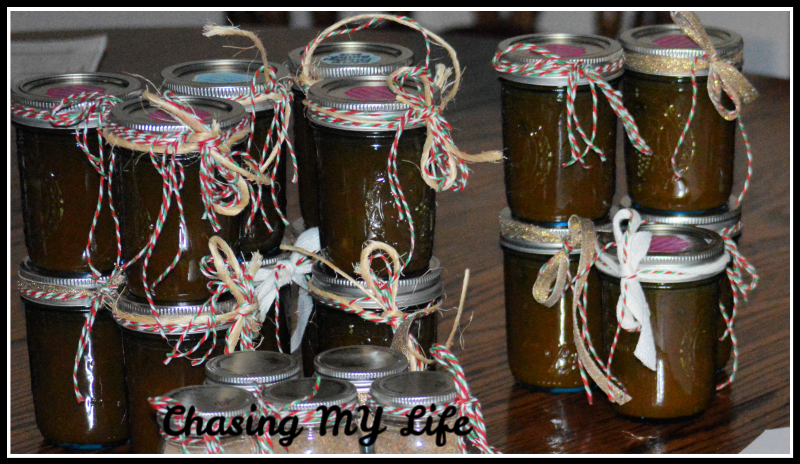 Wipe jars clean, add lids and rings. Process filled jars in a boiling water bath for 10 minutes. Submitted to FULL PLATE THURSDAY @Miz Helen’s Country Cottage. 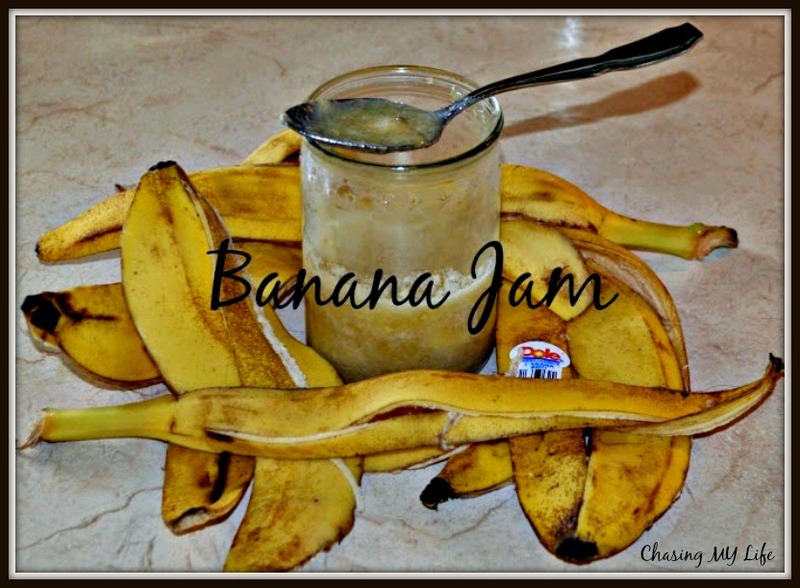 A while back my friend Sandra over at Diary of a Stay at Home mom featured a Banana Jam which I had to try, you can see my recipe here. It really was great. Then yesterday I was searching through my box oftricks, er recipes for tailgating recipes I want to try and found a recipe for BANANA FOSTERS BUTTER. It just screamed out for me to try it. It was fantastic too and great on Peanut Butter Toast. 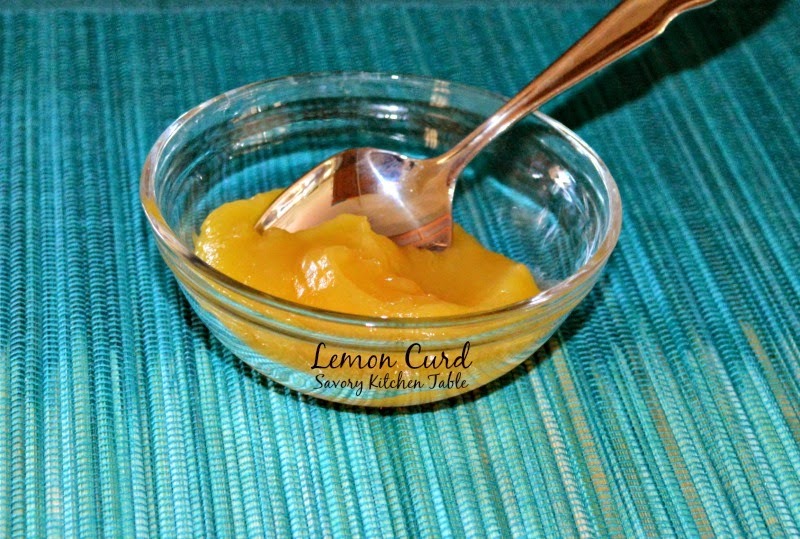 I love lemon curd, but haven’t made any in a lonnnnnnnnnnnng time. 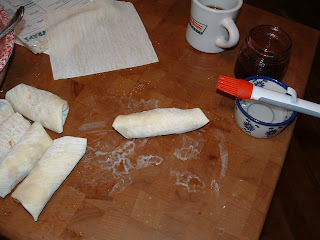 I ran across a recipe for scones today over at Full Bellies Happy Kids that reminded me of this old recipe. In a large saucepan combine lemon juice, lemon peel and sugar. Simmer over low heat, stirring constantly, until it begins to thicken, about 10 minutes. 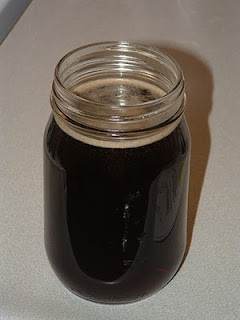 Pour into sterilized pint jars. Store in refrigerator. BE SURE IT IS COVERED TIGHTLY as it will darken with oxidation. It is great on scones! If your looking for an easy and good scone recipe, head on over to Full Bellies, Happy Kids. But it also good as a cake or tart filling. 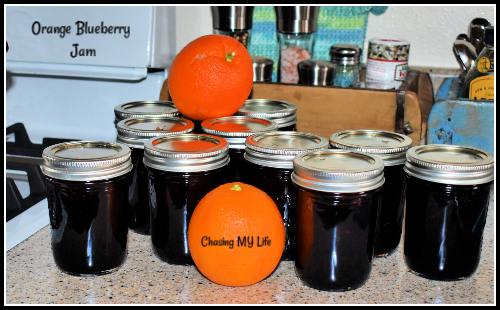 Makes 2 pints ~ Makes a great holiday basket gift. As my good friend Martha over at Menagerie tells me, storm days are perfect “CAVE” days. Days to just snuggle in and do nothing or better yet ONLY what you WANT to do! Today is one of those days as we batten down the hatches for what they tell us will be a “significant late season storm“. The temperature has dropped almost 20 degrees and the wind is blowing almost 60 miles an hour so I decided brunch was in order – a comfort brunch that is. 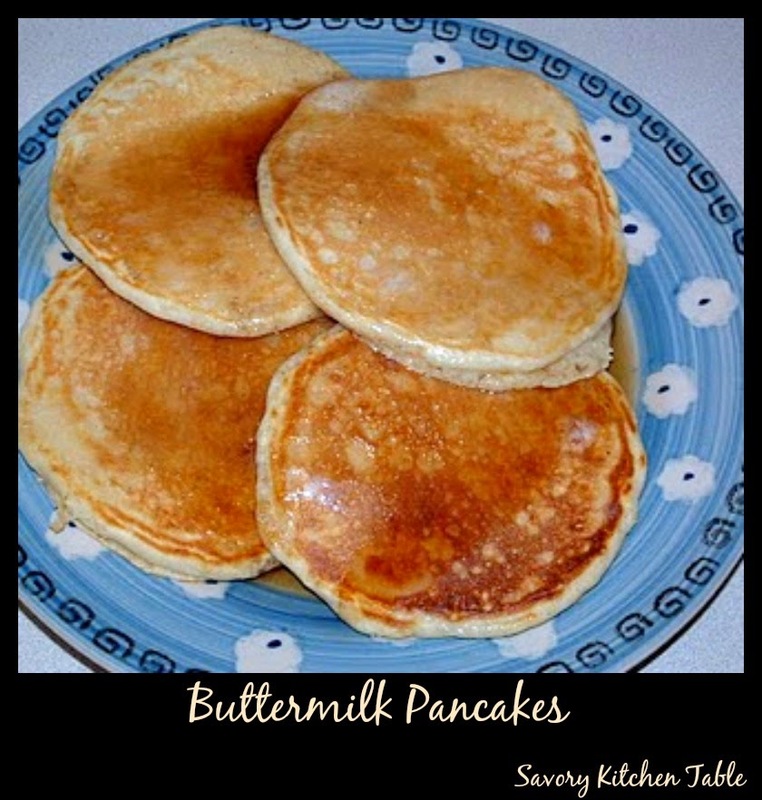 Hot, fluffy buttermilk pancakes! 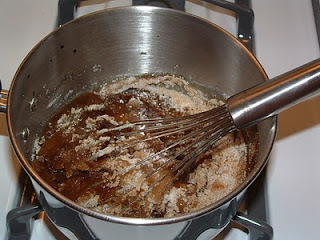 Hubby likes to top them with molasses, but I love my homemade maple syrup. The key to fluffy pancakes is not to over mix the batter. Do NOT beat it smooth. You should have some small lumps. Heat griddle to 375 degrees. Sift together flour, baking powder, baking soda, salt, and sugar into a medium bowl. Add eggs, buttermilk, and 4 tablespoons butter; whisk to combine. Batter should have small to medium lumps. Using a 1/2 cup measure, pour pancake batter about 2 inches away from each other. When pancakes have bubbles on top and are slightly dry around edges, about 2 1/2 minutes, flip over. Cook until golden on bottom, about 1 minute. Repeat with remaining batter, keeping finished pancakes warm. 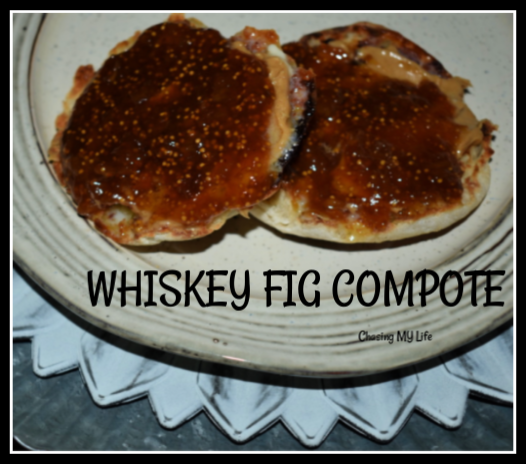 Serve with homemade maple syrup. Melt butter in a large skillet over medium heat. Add the berries, pineapple, sugar, and balsamic vinegar. Cook until the strawberries are heated through and darkened to a deep purple. Spoon berries over shortcake or ice cream and serve.